Note: This article combines information presented in the article “Cosmic Cybernetic Influences on the Development of Culture: A Post-Freudian Perspective” (http://astrosoftware.com/CosmicCybernetics.htm) and in the Sirius software program (http://AstroSoftware.com) I have not included quotations or references because over half of the article presented below is copied or adapted from these two sources. The material from these two sources is combined together here with additional material in order to present the relationship of Planet Mandalas, and the larger discipline of cosmic cybernetics, with fundamental theory in physics. The author is also the founder of the company that produces the Sirius program and is the author of the article, and permission to use these sources in this article has been obtained. Planet mandalas are representations of the orbital motions of planets. All of us are familiar with the image of our solar system with the Sun in the middle and the elliptical orbits of the planets shown as ellipses of various sizes and proportions with Mercury closest to the Sun, followed by Venus, and so on. In a planet mandala one or more adjustments are made to the representation of the elliptical orbit. One of these adjustments is that the orbits may be drawn from the point of view of another planet, such as the Earth. Imagine, for example, the path of Mars from our point of view. When Mars is geocentrically opposite the Sun, it is relatively very close to us on Earth. When Mars is geocentrically in the same direction as the Sun, it is relatively very far from us. We can draw the apparent path of Mars from the geocentric point of view, i.e. how Mars appears to be moving if the Earth was stationary. In fact, as discussed in a bit more detail below, this is exactly what Kepler did in working out the path of the orbit of Mars en route to his discovery of the 3 fundamental laws of planetary motion. These changes in distance from the Earth result in intriguing shapes which tend to have some symmetry and have roughly a circular boundary and therefore have been given the name “planet mandalas” by the early pioneers in the computer programming of planet mandalas, Neil Michelsen and Mark Pottenger. One may argue that drawing the apparent geocentric orbits of planets is not their real orbit. The real orbit is the one that is observed from the perspective from outer space looking at our solar system from a distance, and therefore these geocentrically viewed orbits are curious illusions. However, one can also argue that absolute frames of reference are not always possible ala relativity theory. Also, the apparent magnitude of a star is just as important to us as the absolute magnitude of a star. A may be many thousands of times smaller than a galaxy but the galaxy may be so far that it is not visible while the star appears bright in our sky. Not only is a star-filled sky aesthetically different from a complete black sky, but the light radiation that reaches us is a different phenomenon than light that does not reach us. From a philosophical point of view, one can argue about whether apparent geocentric orbits may be of any “real” importance, but the fact is that these orbits are visually intriguing and interesting than the heliocentric elliptical orbit, which, in common parlance, is simply egg-shaped with varying thicknesses and sizes of the egg depending on the orbit of the celestial object. Another adjustment to the drawing of the planet orbit is that we can draw the orbit of 2 planets. The orbit is drawn by calculating the daily positions of the planets over some duration of time, which can be as few as a few days or may span centuries. On each day of the calculations a line is drawn directly between the two planet positions. This line, of course, shows the relationship of the planets to each other. When one looks at a night sky and notices two objects in roughly the same area of the sky, our eyes may dart back and forth between the two objects or we may instinctively draw an imaginary line between the planets. This tendency of the human mind to “connect the dots”, so to speak, is fundamental to our concept of constellations, where we draw imaginary pictures by drawing lines between the planets. These imaginary lines of the constellations have no objective reality and are simply a proclivity of the human mind to find patterns. In drawing lines between the daily positions of planets, however, we also can see the changing relationship of the planets to each other. By connecting the daily positions of the planets, the planet mandala may become visually much more intricate and in some cases beautiful. A third adjustment that can be made to the representation of the planetary orbit is to use color to represent the third dimension of the planet’s orbit, i.e. how far above or below the paper or computer screen upon which the orbit is drawn the planet is located. This is the Z coordinate in the rectangular coordinate position of the planet. If one designates a blue for the planet reaching its maximum north z coordinate position and red for its maximum south z coordinate position, and varying colors proportionate to how far the planet is from a z coordinate position of zero, then the color will be a mixture of red and blue (purple) when the z coordinate position is zero, and the color gradually having less red and more blue as the z coordinate increases, and gradually becoming less blue and more red as the z coordinate decreases. 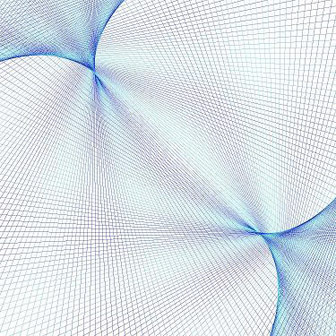 Although this idea may seem like an obvious way to show the varying levels of the z coordinate, it had not been done until the author programmed this feature as a feature in the Sirius program which became available in May, 2008. Progress in the study of planet mandalas is slow because there has been little interest in them since Kepler drew the first planet mandala in his classic work, The New Astronomy (of course, he did not refer to it as a planet mandala, but just simply as the geocentric orbit of Mars). The addition of this color gradient to the planet mandala results in the planet mandala becoming much more stunning, even more dramatically than I had anticipated. Another adjustment that can be made is to calculate the planet positions at some other interval rather than every day. Imagine calculating the position of the Earth every 180 days for example. The positions would be almost opposite each other when calculated every 180 days but not perfectly opposition because 180 days is slightly less than half of 365.25 days. Interesting patterns can emerge by periodically calculating the planets. Another alternative to plotting planetary positions is to plot some other attribute of the planet orbit rather than its actual position. 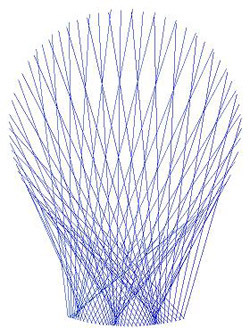 One can plot, for example, a kind of radial graph that displays the planet position by its speed. As the planet speed increases, the planet position can be drawn further from the center analogous to a kind of centrifugal force as the apparent speed (or actual speed if the heliocentric speed is used) changes, with greater speed represented as a greater distance from the center. Variations of this formula can handle retrograde motion by either taking the absolute motion of the speed or by considering maximum retrograde motion as the slowest speed. These graphs are pictorial representations of orbital motions rather than literal graphs of planetary positions. 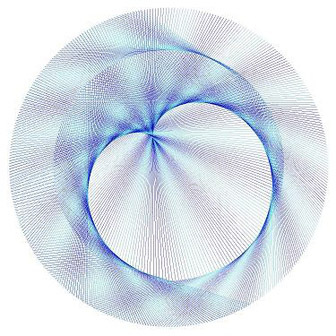 These kinds of planet mandalas were introduced in 2008 in the Sirius program, and, like the usual planet mandalas, create intriguingly beautiful shapes. In the Sirius software there are 8 different kinds of planet mandalas. Some are geocentric, some are heliocentric, some plot the position of one planet and some plot two planets, and some are plots of actual positions and others are graphs showing positions related to planetary speed. For each kind of planet mandala there are dozens of different mandalas that can be chosen, and the user may select his/her own planets, starting time for calculations, duration of calculations, etc. 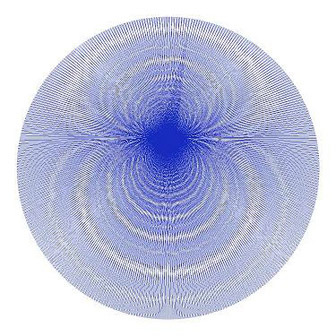 In this article I will discuss the relationship of planet mandalas to the work of physicists like Stephen Wolfram and Ray Kruzweil, but first let’s look at some images of planet mandalas. The reader who is primarily interested in seeing planet mandalas may be content to simply enjoy the following images and skip the rest of this article. The reader who is interested in the relationship of the work on planet mandalas with fundamental theory in physics will benefit from reading this entire article. Shown below are 16 planet mandalas. Although 16 planet mandalas may seem excessive, it does help convey a sense of the range of possible shapes that are possible. Even 16 images is not enough to give a comprehensive view of the possibilities. There are many factors that affect the appearance of the planet mandala in addition to the factors mentioned above of the kind of planet mandala, planets selected, duration of the calculations, and interval between calculations. The starting date, level of magnification, and even color selections affect the appearance of the mandala as well. 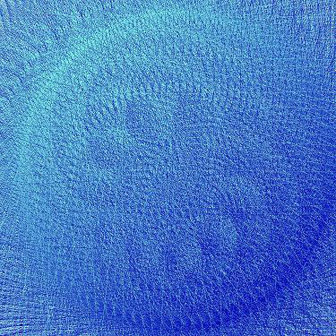 Planet mandalas reveal an exquisite beauty in planetary orbits that has been largely overlooked by the community of scientists as well as artists. Planet mandalas are works of art created by the movement of planets and appear to have elements of shading, dynamic motion, sensitive symmetry, and elegant design elements similar to what a very skilled artist might produce but they are drawn by planetary motions rather than human hands. Also note that in addition to viewing the completed planet mandalas, as shown below, watching the planet mandala being drawn can be equally fascinating. There is one planet mandala in the Sirius program called the Shiva Dance which many people find particularly fascinating to watch. These animations can be saved to file and uploaded, and we plan to upload the Shiva Dance soon. In Kepler’s monumental work Astronomia Nova (The New Astronomy) in 1609 Kepler described his intensive work that gradually resulted in his discovery of the elliptical orbits of planes the laws of planetary motion. In this book he also has a drawing of the orbit of Mars from the Earth’s point of view. As you can see, Kepler’s image is extremely accurate. Note that these diagrams show the actual path of Mars as seen geocentrically. When Mars is opposition the Sun it is physically much closer to Earth than when Mars is conjunct the Sun. 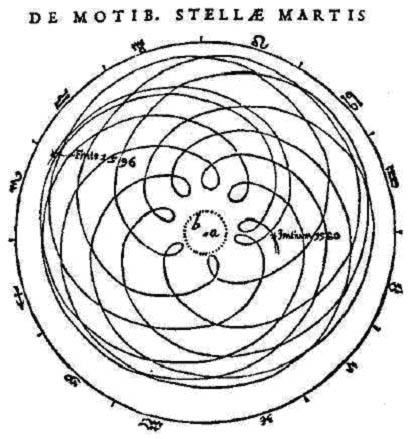 By holding the Earth stationary and plotting the motion of Mars we obtain the diagram shown above. 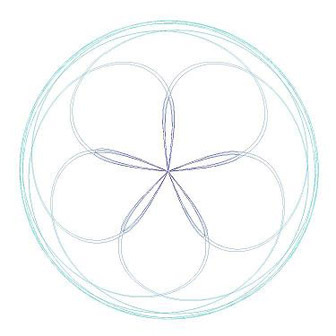 Even more intriguing is the path of Venus, which produces a more symmetrical and easily identifiable 5-petaled shape. The intriguing geocentric orbit of Mars was drawn by Kepler as part of his intense and arduous work in determining the laws of planetary motion. Kepler’s laws of planetary motion explained very precisely how the apparent position of Mars was a result of its elliptical orbit around the Sun. The geocentric orbit of Mars was not dwelled upon by later astronomers; it was simply a step taken by Kepler in his work towards discovering the laws of planetary motion. 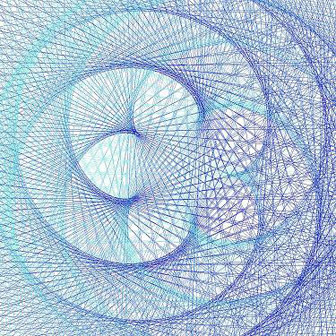 In the 1970’s Neil Michelsen and Mark Pottenger, two people involved in software development for astrological purposes, became intrigued by these shapes and they began programming them. 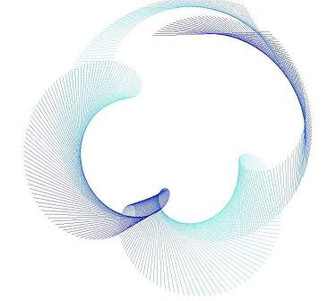 The author contacted Mark Pottenger regarding these planet mandalas and Mark Pottenger generously shared his knowledge, program source code, and all of his work with planet mandalas. In developing the computer software, I added a few new variations to the concept of planet mandalas, the most important of which may be the addition of color. The planet positions that are plotted in most kinds of planet mandalas are the actual planet positions in 3-dimensional space, which is referred to as astronomers as rectangular coordinates. The rectangular coordinates of a planet are an x, y, and z coordinate positions in the 3 dimensions of space. The planet mandala plotted on a flat surface like paper or a computer screen is the x and y coordinates, and I added color to represent the z coordinate. Predicting the shape of a planet mandala from the planets and time period selected is extremely difficult, and in most cases impossible. Very often one simply arbitrarily changes values like the starting date, duration, and other factors, and simply draws the image to see what it looks like. Similarly, when I added color to represent the third dimension in space, I was not sure what the result would look like. The aesthetic effect of color was more dramatic than I imagined it to be. In the images shown earlier in this article you can image how the images would look if not in color; they are still beautiful but most people agree that they are “flatter” and less dynamic and inspiring than when the planet mandalas include color to indicate the z coordinate. The diagram shown below is the path of Venus and the changes in color reflect the position of Venus in the 3rd dimension of space, i.e. how far Venus has moved up or down by a relatively small amount within the approximate plane of its orbit. 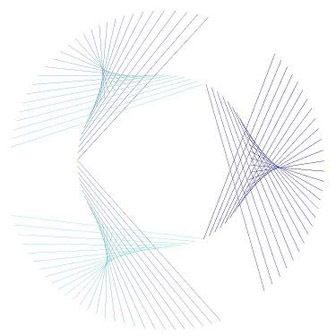 By plotting the daily positions of two planets over a period of time from a few months to many years, and drawing a line to connect the daily positions, very intriguing shapes are produced, as shown in the planet mandalas earlier in this article. It is also fascinating to watch the images being drawn in a kind of time-lapse speeded up presentation of planetary motions. For example, there is one image that is referred to in the software used to produce these images (Sirius software, which is described at www.AstroSoftware.com) as Shiva dance because the image looks to some people like a rotating and dancing ancient mythical creature or goddess. Planet mandalas may simply be a curious phenomenon with no practical value or applications other than perhaps to engender aesthetic and artistic appreciation for the viewers of these images. 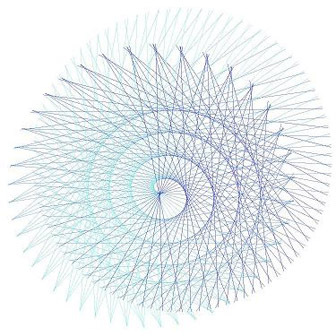 However, there is a powerful new movement in physics that has an interesting parallel with the recent discovery of planet mandalas: the new kind of physics of Stephen Wolfram. 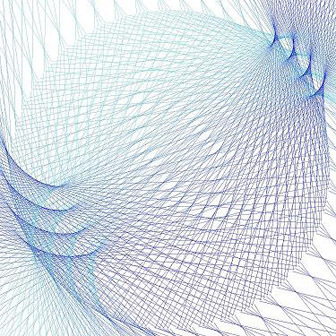 Stephen Wolfram’s book, A New Kind of Science, introduces a new perspective on how many natural functions and processes operate. Wolfram speaks with considerable authority. His achievements, honors, and his precocious discoveries in physics are simply extraordinary. Central to Wolfram’s thesis is that simple iterative (repetitive processes that loop back with results from the previous calculation) processes produce surprisingly complex results, and these complex results are evident in some of the complex forms and functions that we experience in our lives, whether these manifest in areas of biology, economics, art, or physics. 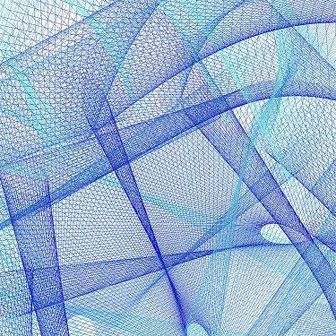 Wolfram points out that previous to his work, one expected the explanation for a complex system to be very complex as well, but simple iterative processes produce forms that are surprisingly complex. The complex forms produced by a simple iterative process cannot always be predicted. One must simply run the iterative process on a computer and see the results. 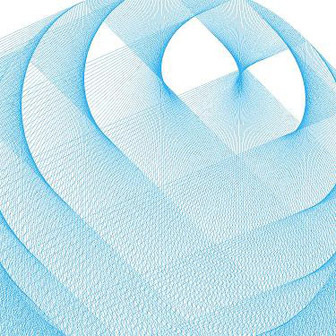 Even to a genius in the field of mathematics and physics such as Wolfram is often startled by the resulting patterns produced by iterative processes. While reading the book A New Kind of Science, I repeatedly wondered how and where the iterative processes that Wolfram supposes generate complex systems exist. Cell division and growth patterns are possibilities. One relatively unexplored “generator” or “engine” that involves an iterative process are the motions of planets. Planets travel on their paths in a seemingly endless cycles and arrange themselves in various configurations, as noted by astrologers throughout the ages. Although astrology has failed thus far to produce any scientifically verifiable results and even some astrologers see astrological processes as existing outside the realm of science, it is possible that there is some unnoticed relationship between planetary positions and terrestrial behavior because the mechanism through which this relationship operates may lie largely outside the domain of both astrologers and scientists. 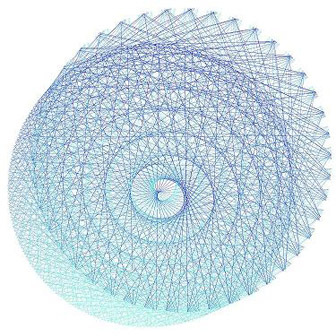 Stephen Wolfram’s work involves discrete automata and planet mandalas involve the analysis of elliptical orbits. The two processes are different but similar in many respects. Both processes are simple and both are processes are iterative. In both cases complex and beautiful patterns are produced. Planet mandalas and discrete automata also have much in common with fractals. In all of these mathematical calculations a relatively simple formula is calculated iteratively, feeding back into the variables in the formula results from the previous calculation. Fractals have proven to have useful applications in the determination of fracture lines in shattered or cracked materials, weather prediction, and other applications. Planet mandalas may, or may not, prove to eventually be useful for practical applications. Note that there are three distinguishing factors of planet mandalas as compared to fractals and cellular automata as they are typically calculated: (1) The effects of the perturbations from other planets causes each iteration of the calculations to vary slightly from previous calculations, thus resulting in slight variations in the pattern that are drawn. In nature, patterns are not perfect. For example, a sliced apple that shows the star-shaped arrangement of the apple seeds reveals a 5-petaled shape that is highly symmetric but of course not perfectly symmetrical. Nature produces slight “disfigurements” or imperfections as opposed to the pristine perfection of a mathematical algorithm. In this regards planet mandalas more closely resemble the shapes we see in nature than most mathematical algorithms produce. (2) Because planet mandalas are based on the calculation of elliptical orbits rather than additive and multiplicative functions, planet mandalas tend to have more rounded and smoothed edges. Fractals and cellular automata tend to produce shapes that are jagged and may more closely resemble cracks in a ceramic or glass material, while planet mandalas tend to produce curved shapes more similar to the forms of living things, both of the plant and animal life. (3) Planet mandalas are based on an actual physical phenomenon, the positions of planetary bodies. 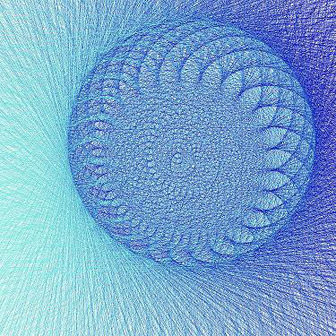 Many of the formulae used in fractal theory and in cellular automata are formula that a mathematician thinks of but have not been identified with a physical process. There may be exceptions to this rule but the distinction remains valid in that all planet mandalas are shapes based on a physical reality but not all fractals cellular automata are based on something that has been identified to exist in nature. Stephen Wolfram states that he believes that iterative functions play a vital role in biological development and evolution. Given the facts provided in the previous paragraph, planet mandalas may through some as yet undiscovered process provide a basis for these biological processes. At this stage of research, we are simply noting similarities in the development of mathematical and fundamental theory in physics, and noting that there may be further integration of these findings. Although it may be premature to speculate too far at this point, perhaps future findings in physics will identify a mechanism whereby the movement of relatively small and dense aggregations of matter (i.e. planets) can act as the iterative functions to set patterns for development within any part of the solar system. Large aggregates of matter, whether they are solid, liquid, or gas, are relatively rare. Planets, asteroids, and other celestial objects in our solar system are not crammed together like cars on a freeway. There are relatively large expanses of space separating especially the larger celestial objects (i.e. the planets) in our solar system. Perhaps the arrangement of these celestial objects and the intricate patterns that they create, as revealed in planet mandalas, create patterns which, like a great cosmic fractal, can be relevant to the patterns in our lives. Norbert Weiner heralded a fundamental change in focus from energy to information in his 1948 book Cybernetics, and suggested that the transformation of information, not energy, was the fundamental building block for the Universe. Perhaps the most enthusiastic proponent of an information-based theory of physics was Edward Fredkin, who in the early 1980s proposed what he called a new theory of physics based on the idea that the Universe was comprised ultimately of software. We should not think of ultimate reality as particles and forces, according to Fredkin, but rather as bits of data modified according to computation rules. If transformation of information is the fundamental building block of the Universe, then we might think that nature may be very efficient, rather than highly inefficient, and use the placement of the relatively rare planets, stars, and other celestial objects as nodes or points for transferring information. Again, we are making a very large leap from a general conceptual model, but the positive results of the research in cosmic cybernetics indicates that such a leap may not be as large as we might otherwise think that it is. …My own philosophy is that of a "patternist," which one might consider appropriate for a pattern recognition scientist. In my view, the fundamental reality in the world is not stuff, but patterns. If I ask the question, 'Who am I?' I could conclude that, perhaps I am this stuff here, i.e., the ordered and chaotic collection of molecules that comprise my body and brain. However, the specific set of particles that comprise my body and brain are completely different from the atoms and molecules than comprised me only a short while (on the order of weeks) ago. We know that most of our cells are turned over in a matter of weeks. Even those that persist longer (e.g., neurons) nonetheless change their component molecules in a matter of weeks. So I am a completely different set of stuff than I was a month ago. All that persists is the pattern of organization of that stuff. The pattern changes also, but slowly and in a continuum from my past self. From this perspective I am rather like the pattern that water makes in a stream as it rushes past the rocks in its path. The actual molecules (of water) change every millisecond, but the pattern persists for hours or even years. It is patterns (e.g., people, ideas) that persist, and in my view constitute the foundation of what fundamentally exists. Perhaps it is a bit hyperbolic to go a step further and state that energy and matter exist solely for the purpose of supporting patterns. In any case, patterns are fundamental according to Kurzweil, and it may be that nature is far more efficient, integrated, and elegant in the way that she creates, supports, and maintains patterns than we had previously thought, and that, for example, the positions of celestial objects are “used” to sustain patterns. The gorgeous planet mandalas, therefore, do not seem like coincidences that just happen to be created by celestial motions, but rather as nodes in an informational network designed to create these patterns. Other articles on this website discuss cosmic cybernetics, a theory that is even further outside the framework of scientific ideas than planet mandalas. The positive results of statistical studies on cosmic cybernetics, the case studies, and fairly detailed theoretical developments within cosmic cybernetics may eventually lead to replicable, consistent findings. The reader is referred to the list of articles by the author at http://astrosoftware.com/AstrologyArticle.htm for further information. Cosmic cybernetics bears some resemblance to the patterns provided by planet mandalas in that the arrangement of planets are considered relevant to our lives and behavior on Earth. The work of Wolfram, Kurzweil, and other leading physicists has much in common with the planetary motions of celestial bodies and the resulting planet mandalas produced by these orbits. The addition of color to represent the Z coordinate of the planet positions, a new discovery presented in this article and in the Sirius software for the first time, reveals a great depth, elegance, and beauty to planet mandalas than had been found previously. However, a direct mechanism through which planet mandalas could affect behavior on Earth is unknown at this time. Cosmic cybernetic theory posits that the position of planetary bodies act as points at the crest of waves marking wave lengths as viewed geocentrically. If an angle of 72 degrees separates two planets, then a 5th harmonic wave is considered to be emitted at the speed of light towards Earth because 72 degrees is 1/5 of a circle. This theory is based on anecdotal evidence, a modern revision of ancient astrological lore, and statistical studies that have shown promising, but not conclusive, results. If a mechanism for the transmission of these waves which in many regards are similar to electromagnetic waves but are based on the placement of celestial objects, is discovered in dark matter, quantum gravity, or some other as yet undeveloped part of the fundamental theories of physics, then cosmic cybernetics as well as the practical importance of planet mandalas in our lives could be firmly established. However, there appears at this time to be no clear and direct line of theoretical development that would supply a theoretical basis for the practical relevance of planet mandalas and the validity of cosmic cybernetic theory. Without a theoretical basis it is possible that even repeated and consistent replication of studies that validate cosmic cybernetic theory may tend to be ignored. Paradigm shifts can be slow even when a theoretical basis is established, and without a solid theoretical foundation, cosmic cybernetics and the practical application of planet mandalas for understanding behavior on Earth may be very slow. The missing link, in short, is a theoretical model that can tie cosmic cybernetic theory to fundamental physics. 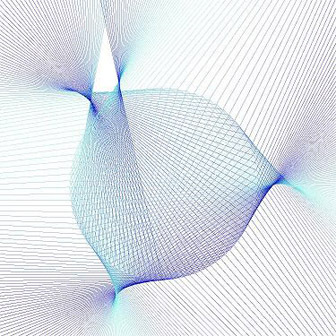 Analogies and similarities with cellular automata and the importance of patterns is promising, but fall short of being a clear theoretical foundation grounded in specific mathematical formulae. Nevertheless, planet mandalas are important now as a bridge between astronomy and art – a curious intersection of aesthetics and astrophysics that deserves attention for the inspiration and wonder that they inspire. Further research in cosmic cybernetics and the development of a theoretical framework that is more solidly grounded in fundamental physics are two important areas for future research and development.